In Vila de Gràcia, on Travessia de Sant Antoni, midway between Carrer d’Astúries and Carrer del Montseny, you’ll find the little square, Plaça d’Anna Frank and a sculpture of Anne Frank. 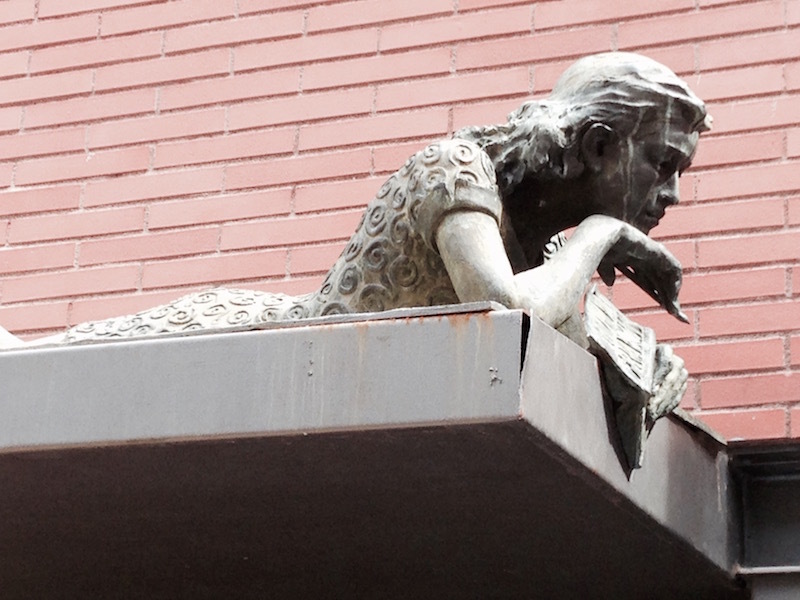 She reclines on a canopy affixed to the Centre Artesà Tradicionarius — a cultural centre dedicated to the production and promotion of Catalan music and dance. The scuplture is by the Catalan artist, Sara Pons Arnal.